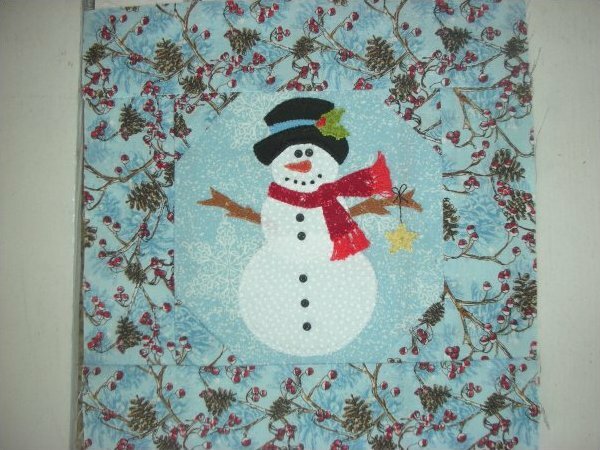 Our Snowman block for 2012. Designed by Lynn Woodard. 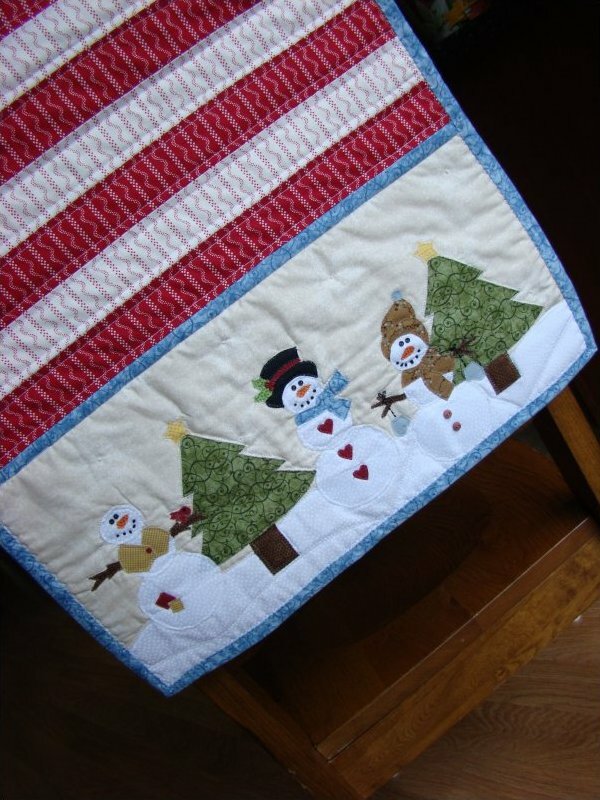 Snowman Table Runner by Lynn. This runner uses all the snowman and their outfits to celebrate the season. 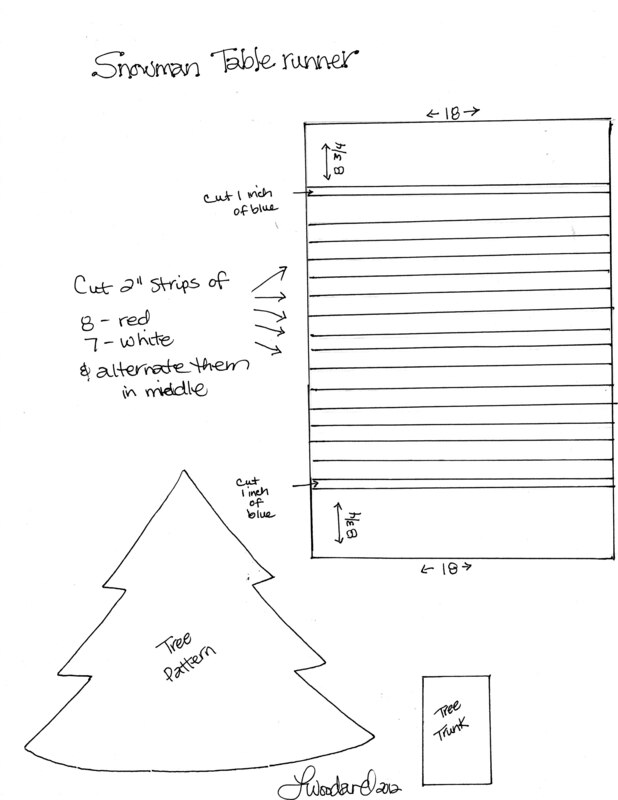 Lynn's pattern for the snowman table runner. 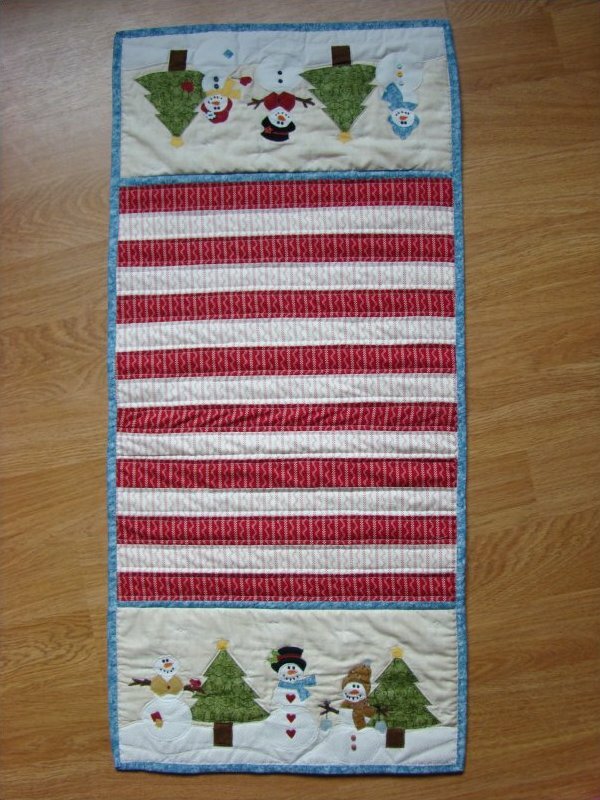 Click Here for Snowman Table Runner Pattern, Actual Size. 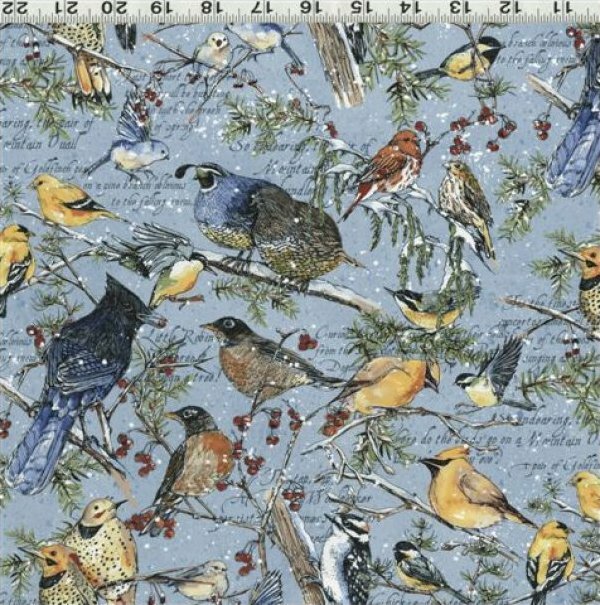 Pine Cone Theme Fabric, Bird Border Fabric and 5 Coordinates available for presale at $10.99 per yard. Orders your's today as supplies are limited from the distributors. Once again we are pleased to offer two Shop Hop Bus Trips. A full day of shop hopping to the northern shops, as many as 14. We love this northern trip because shoppers can get to many shops and get their passports stamped. We leave at 8am and return about 8:30pm. $62 per person cash or check. Sign up now and get ready to Shop Hop 2012 on this 40+ passenger coach. Room still available on the Saturday Bus. Wednesday bus sold out. 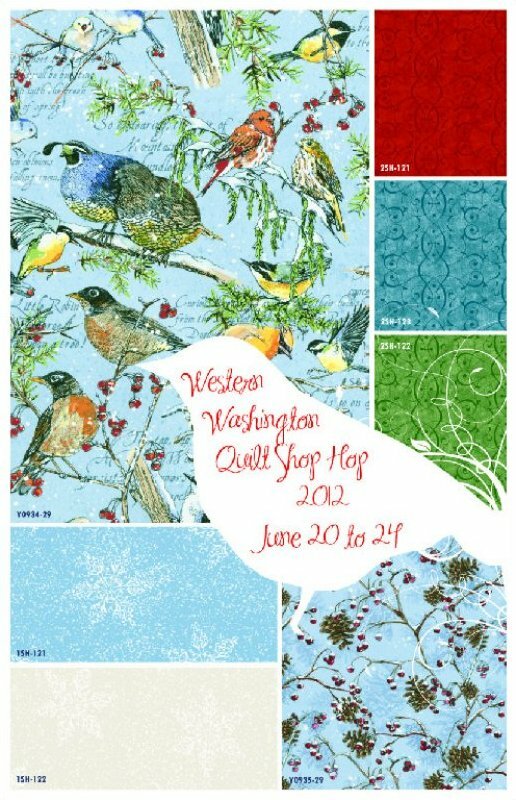 Our motor coach will travel Area 1 of the shop hop newsletter, page 6. Points: 1,2,3,4,6,7,8,10,11-14,18,19 = Fourteen shops. 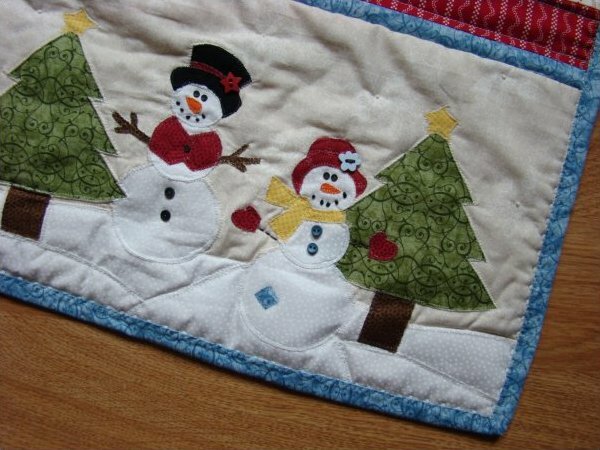 We give you all that fabric you need to piece your snowman block together. 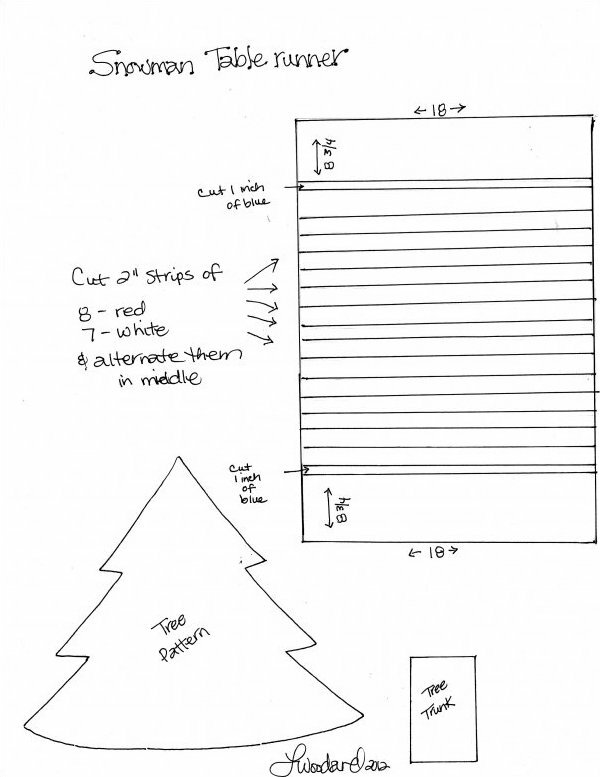 The only extras you will need are for dressing up your snowman. 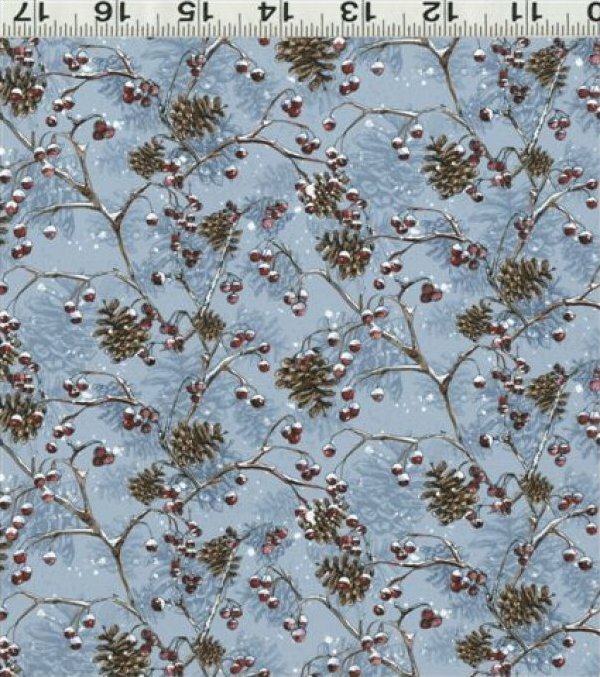 7 Micron Buttons for your Snowman’s Eyes and Body. We have them at the checkout counter. 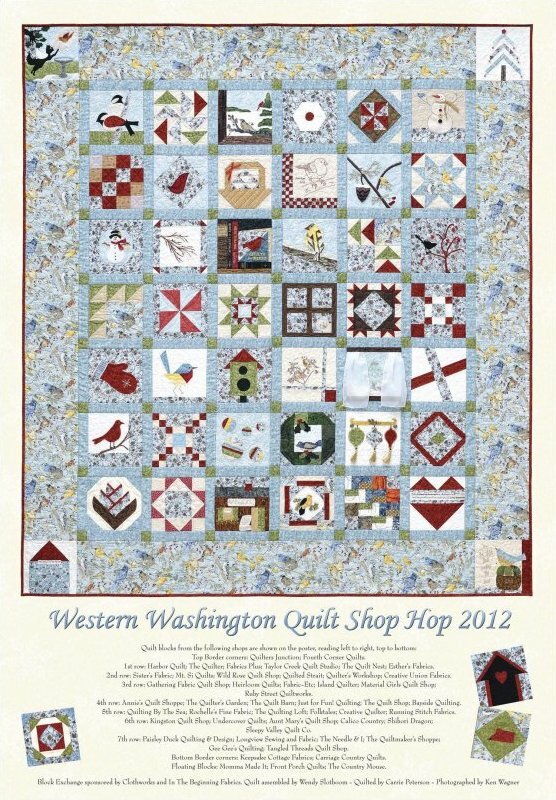 Click here to be directed to the Western Washington Quilt Shop Hop site.